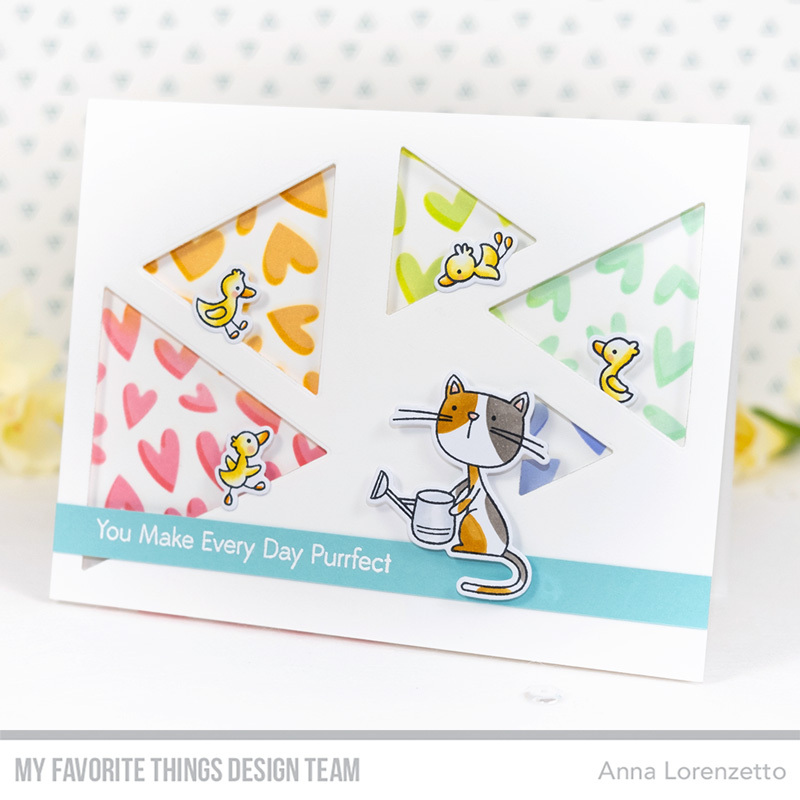 A new Sketch Challenge is up on the MFT Challenge and Inspiration Blog and today I’d like to share a card inspired by this week’s sketch (WSC 429), featuring the Purrfect Friends stamps set. Awww, this set really got my heart! 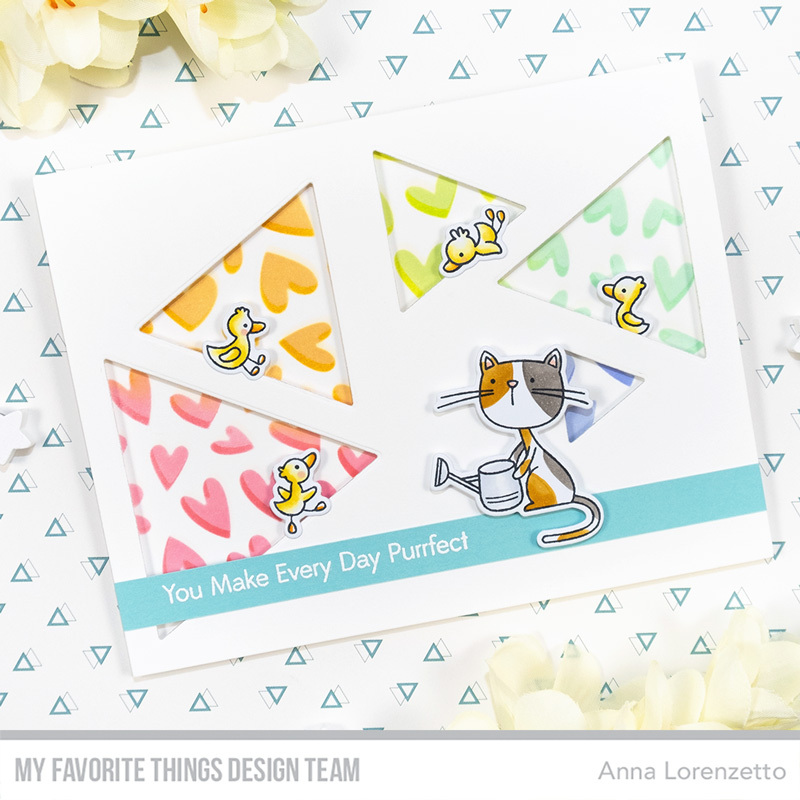 This collection of cute kittens and cheerful ducks is just perfect to create fun and colorful cards! To start, I die-cut a bunch of triangles out of an A2 card stock panel, following the sketch. Next, I created a rainbow background, ink blending some Abandoned Coral, Wild Honey, Twisted Citron, Peacock Feathers and Shaded Lilac Distress Inks over the Lots of Heart stencil. I colored all the characters with Copic Markers and die-cut them using the coordinating dies. Finally, I heat embossed the sentiment in white on a strip of Summer Splash card stock and mounted it to my scene, too. I hope you’ll play along with us. 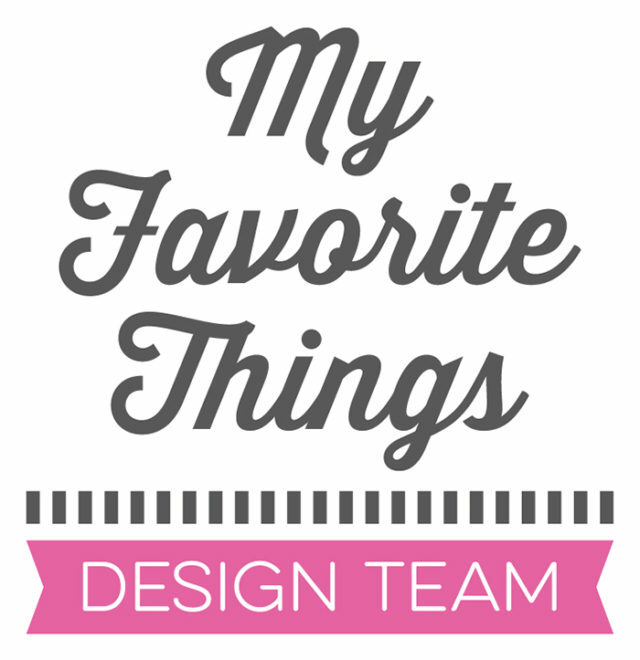 Head over to the MFT Challenge and Inspiration Blog for more information about the Sketch Challenge and for more inspiration from the participating design team members.